The stunning surroundings and glorious tropical weather of the Queensland Islands lend themselves perfectly to a wide range of outdoor activities and leisure facilities. There are a number of Queensland Island resorts with tennis courts as well as a number of other recreational facilities and activities that embrace the outdoors and atmosphere of these stunning islands. 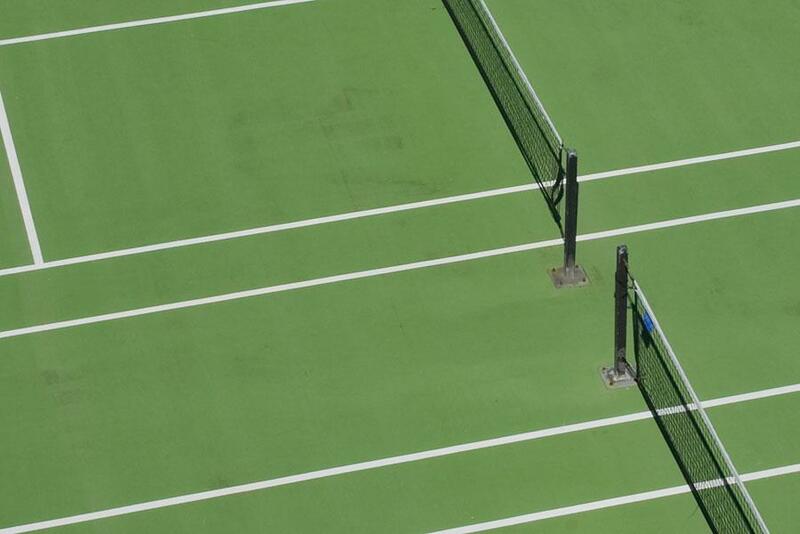 Located amid the Whitsundays and the World Heritage listed Great Barrier Reef, the tennis courts are the ideal activity when the water gets too much for you and you need to get your land legs back. Queensland Island resorts with tennis courts can be found on many of the region's most popular islands including Hamilton Island, Daydream Island, Fraser Island, Long Island and Moreton Island and range from 3.5 stars to 5 stars. Located on the southwest side of Moreton Island, Tangalooma Island Resort is set on world's second largest sand island and offers an eco encounter and activities ideally experienced outdoors including tennis courts as well as badminton and table tennis. Breakfree Long Island Resort is surrounded by the tropical paradise of the Whitsundays and Great Barrier Reef and is home to a number of tennis courts as well as a great range of onsite facilities. Situated amid the sand dunes of Fraser Island, Kingfisher Bay Resort features an excellent range of recreational facilities onsite including a number of tennis courts. However, the top two Queensland Island resorts with tennis courts are located on Daydream Island and Hamilton Island. 4.5 star Daydream Island Resort & Spa is home to an outstanding range of onsite facilities including a number of tennis courts which offer night and day playing conditions. Hamilton Island Reef View Hotel features an excellent range of accommodation and onsite facilities and offers complimentary access to tennis courts on Hamilton Island. 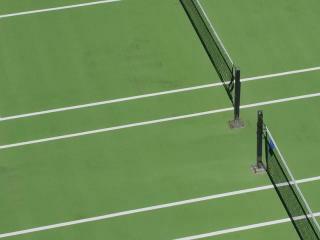 There are 6 tennis courts located on Hamilton Island and equipment such as racquets and balls are available for hire. 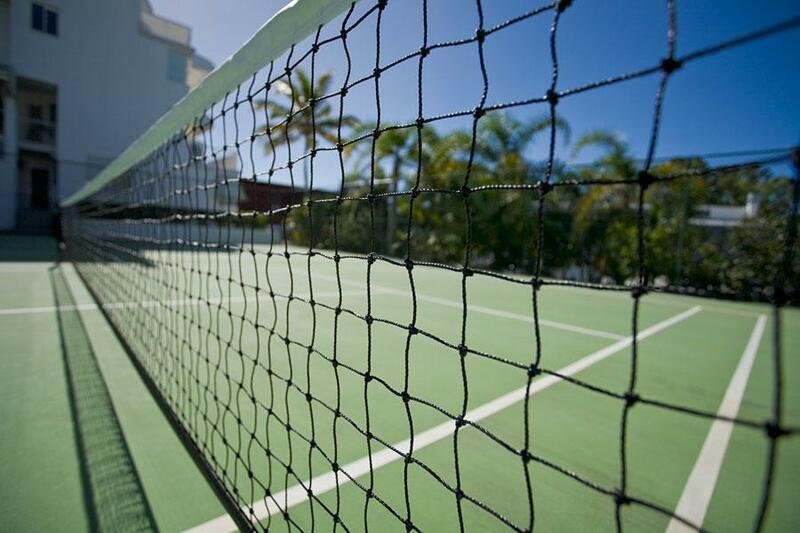 Part of the Hamilton Island Sports Club, the courts are centrally located on the island and is also home to tennis coaching options as well as group clinics and social tennis. 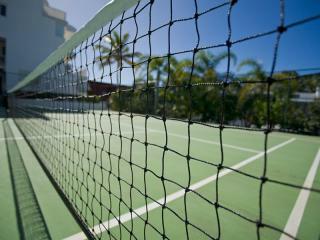 During the famous Hamilton Island Race Week, tennis clinics are hosted by special guest grand slam winners. For a great way to keep fit, have fun and enjoy the sunshine and sea breezes on your next Queensland Islands holiday, get outside and grab a racquet and a friend and practice your swing at these Queensland Island resorts with tennis courts.